The green campus is becoming an attractive hotspot for students, researchers, entrepreneurs, investors and high-tech companies with state-of-the-art offline and online facilities. The campus is a terrain in development, but it is already a lively, green place in the city center of Eindhoven. Discover the benefits the campus has to offer you, from a nice office or appartment to sports, culture and congress facilities. Apart from the university, around 100 companies and organisations are accommodated on the campus, from large research institutes to smaller start-ups.The TU/e campus wants to be a place where these parties connect and therefore offers various accommodation possibilities. Interested? Check out the accommodation possibilities for companies. Thanks to the arrival of the two apartment blocks, Luna and Aurora, the campus has 700 apartments for (international) students and people working on the campus. If you are interested in living on TU/e Campus, then check out the apartment blocks. The campus has good possibilities for organizing congresses, and for smaller meetings and conferencing there are various rooms for hire. Conferences will be pleased to help you. 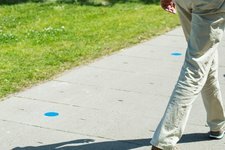 Workwalk is part of the research program of the Vitality academy. With Workwalk, the TU/e aims to facilitate and encourage walking meetings at the campus, as part of the TU/e living labs. When scheduling a meeting, employers and students of the TU/e can book the Workwalk as the location of their meeting instead of a normal meeting room. Check out more of Workwalk. The TU/e Campus has extensive facilities geared to stimulating your personal wellbeing. Like a sports center catering up to 70 different sports and 40 sports associations. There is also a range of cultural activities and events on the campus with plenty of focus on different cultures. For a bite to eat and a drink, there are all kinds of catering options on the campus. In the coming years there will be a lot of building and development on the campus, including the Gemini buildings. Atlas, the former main building, has been completed after a transformation into the world’s most sustainable educational building. Check out the renovation. 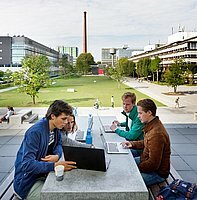 TU/e wants to become one of the most sustainable universities of the Netherlands. We work on a comprehensive approach in the development of the TU/e Campus as well as in our education, research and operational management. More about sustainability.